A Modesto, California man found $500 in the drive-thru ATM and was able to track down the rightful owner, causing a chain reaction of generosity that stunned the 92-year-old woman who forgot her rent money. 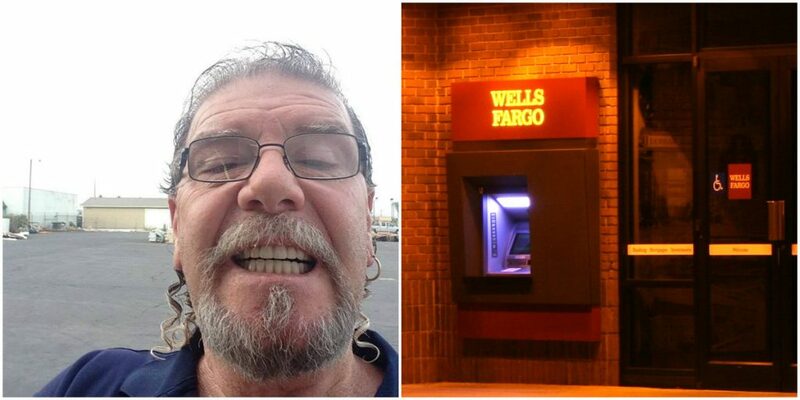 Bobby Puryear pulled up to use a Wells Fargo ATM when he noticed the stack of cash that someone left behind. He immediately went into the bank and tried to give it to the teller, who refused to take responsibility for it. Puryear then asked to see the manager to find out who used the ATM before him. The next day, the manager discovered that a 92 year-old woman named Edith used the ATM before Puryear, so they had a 3-way phone call to let her know the money was not lost. Edith was ecstatic and said it was her rent money. She offered him an extra $20 after she paid her $480 rent. She also mentioned that $20 was all the money she had for the month, so Puryear refused it. Showing off his big heart and generosity, Puryear asked the bank manager to transfer $200 into Edith’s account to help her afford food. Puryear’s co-worker who overheard the conversation also decided to chip in $100. Moved by the generosity, bank employees raised $300 among themselves. That brought the total gift to $600. Edith miraculously went from not being able to pay the rent to paying it and having an extra $600 for food and other necessities. People commenting on the story Puryear posted on Facebook said they were inspired to help others after hearing about the good deed. I think we all just need to help each other, if everybody would help each other we we wouldn’t have all the hate and problems we have now, just be kind and help one another, it’s not hard and its very rewarding and it just makes you feel good. It just seems like everybody is just out for their self anymore, people are just so mean, I mean this is just something small but just think if everybody would just do something kind for someone everyday imagine what this world would be like I mean I really couldn’t afford to do this but I just pictured this little old lady in her apartment with nothing to eat or being cold I just couldn’t stand it. With all the horrible things going on in the world today if everyone would just do something kind for your fellow man and woman I know we could come back from this. After finding that Edith had no family members, Puryear invited her for a Thanksgiving feast with his family. He also contacted Meals on Wheels on her behalf to set up regular hot meals for her. Be sure to SHARE this powerful, positive story with your friends & family.